d'ears' unique manufacturing process makes our earrings and pendants stand apart from other jewelry in quality, durability, and potential for artistic expression. Unlike traditional printing, screenprinting or painting, we use a special ink that is embedded into the finish. The team at d'ears has worked very hard to perfect the imaging process, developing the richest color and sharpest image quality to bring depth and excellence to each product. Due to the handcrafted process, there may be some variation in the image colors and in the wire embellishments. 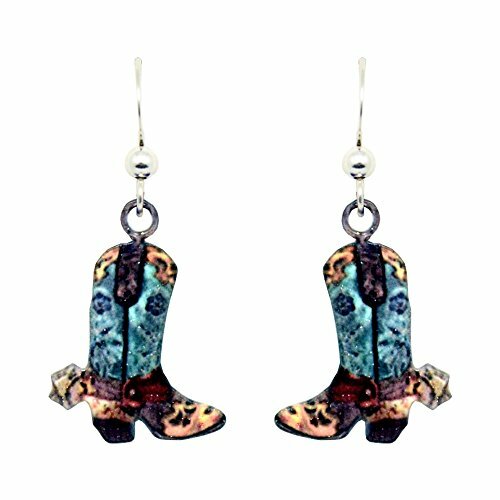 These Earrings are High Quality, Very Durable, & Light-Weight, making for the perfect accessory any girl would love. If you have any questions about this product by d'ears, contact us by completing and submitting the form below. If you are looking for a specif part number, please include it with your message.